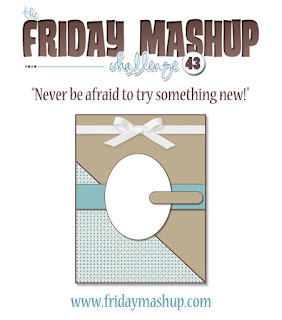 Or "Mash it Up" and create a project "using the Sketch & something NEW in your stash". This is a very different card for me. I love clean-and-simple, but to me they are the most difficult cards to create. I like to challenge myself to try them sometimes but get frustrated with them pretty quickly. My sweet friend Marla helped me via our iPhones yesterday so it was good to have a buddy to talk out the design with. I love my demo friends so much! I hope you enjoy it and will come play along with us! Oh this is really pretty, I love the scoring and that butterfly is soooo lovely. Congratulations on winning the board! GORGEOUS! MY goal this year is to use this butterfly die more! May I CASE this? Oh, and I am sending you a bag of moose nuggets(aka poop, LOL) for getting that stupid Rebecca Black song stuck in my head!! Make it stop!! You did great with the sketch and the CAS look! The butterfly focal point is so pretty (love that color) and that was a creative idea to use scoring for the diagonal pattern. This is great! Love this sketch, although I agree it is a bit tricky! I find I am lost without sketches to follow these days!! This is BRILLIANT and GORGEOUS!! Love your use of texture to to with the sketch. Love the CAS look, the colors...everything! You truly rocked the challenge this week, Rita!! Yay, diagonal plate! Awesome! Can't wait to see what other creative stuff you come up with. Fabulous card, I love the clean look and your butterfly is beautiful.